For instance, people who live in the midwest are more likely to decorate their homes or yards than those who live in other parts of the country, while costumes for adults are most common in the western part of the country. 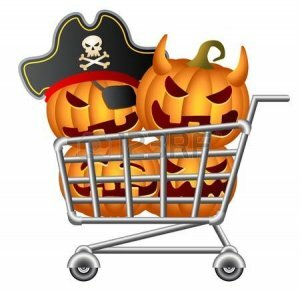 These are among the findings of this year’s Halloween shopping survey by the National Retail Federation. 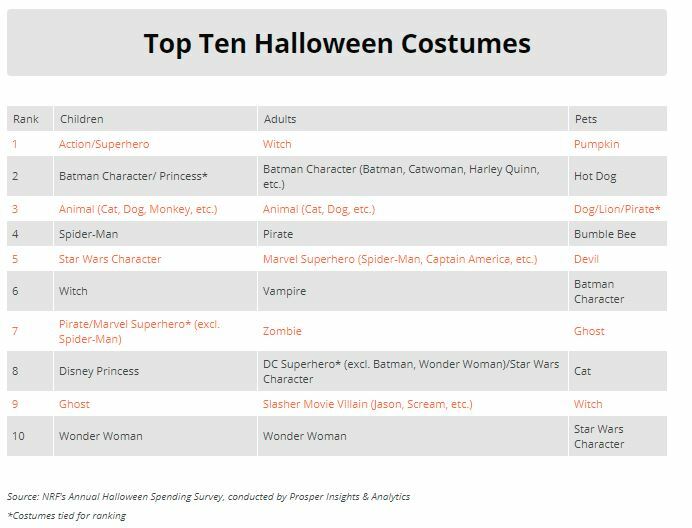 Meanwhile, trending Halloween costumes appear to be uniform nationwide, according to the NRF survey. Superheroes appear to prevail for both adult and children’s costumes this year, with spending hitting $3.4 billion. Costumes may be getting the largest aggregate amount of spending, but the largest proportion of households celebrating Halloween will be buying candy, at 95%. This year, $2.7 billion will go toward candy. Apparently, candy preferences vary by location. We’ve a breakdown on a state-by-state level of the top three choices according to 10 years of sales data on CandyStore.com. It’s not a bad idea to consult the graphic below before shopping for sweets. Readers, what are your plans for Halloween?